Sorry for my absence. I’ve been feeling very overwhelmed, and I’ve been extremely tired. 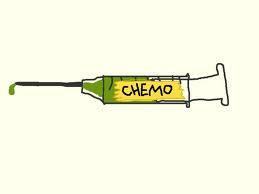 I’ve had a really hard time getting out of my bed, and I’ve missed my last 2 chemo appointments due to low blood counts that won’t seem to stay up anymore. I have had my exam week for school, and am not sure how much longer I can continue doing this. It’s been rough. I’ve spent much more time asleep than awake, and I’m strongly considering moving back home as I don’t think I can handle school anymore. This has made me pretty deeply depressed, and I’ve kind of withdrawn from talking to people a little bit. I’m really not sure how much more I can take, and I just want this all to be over. Life is Tearing Me Down. I can’t catch a break. I need to just breathe, and I can’t even have a moment. Everything just keeps happening. I feel like I’m not allowed to complain, but I want to scream. My body is giving up on me, I can feel it. Today was an awful day. it’s really not fair. I don’t like to ask why me or anything like that, but seriously? Why is all of this happening? I can’t deal with this. It’s too much. Also, I don’t really have a support group here. My one back at college is diminishing, too, because everyone is graduating and going off to different places. I have nowhere where I can go back to and say, “This is home. This is where my people are.” I don’t have a place like that. I don’t have a physical group of support people here where I am…not really. Not like I had in college. I have people to take notes and record lectures for me, and that’s great, I appreciate that. But, I don’t have people to talk to and say, “I’m having a tough time.” I don’t even have a therapist anymore. I’ve been in the hospital so much this summer. And what if this is the last year I’ll be able to stay in school? I don’t know what’s going to happen in the next week or month. I can’t even plan for my future like I used to. What if I don’t have one? I feel like giving up everyday, but I said I wouldn’t. I wear that promise on my wrist everyday, so I know I can’t, but it’s so hard. I don’t know how to deal with this. I hightailed it over to ATL where the trial is so that I can stop sitting around here feeling sorry for myself. Moping is against medical advice. I can actually DO something about my health now. I know I’m technically not really exactly supposed to be driving, but what’s the worst that can happen, right? I made it here safely. Plus, school starts Monday, and I HAD to be here for that. I hate missing school, and it gives me something to think about instead of sitting around having a pity party. My parents didn’t know I left until I got here. They were PISSED, OMG! But since I made it safely and I’m 8 hours away, there’s not much they can really do about it now besides yell at me over the phone. I can handle that. They’ll get over it…I hope. So now…I start the clinical trial tomorrow, and this is the best way it’ll match up with my school schedule, so I shouldn’t have to miss much school. I’ll be on Sunitinib (Sutent™) and Gemcitabine (Gemzar™) together…we’ll see how this goes.